Tomorrow will mark the beginning of a series of daily posts to help students cover upcoming protests. 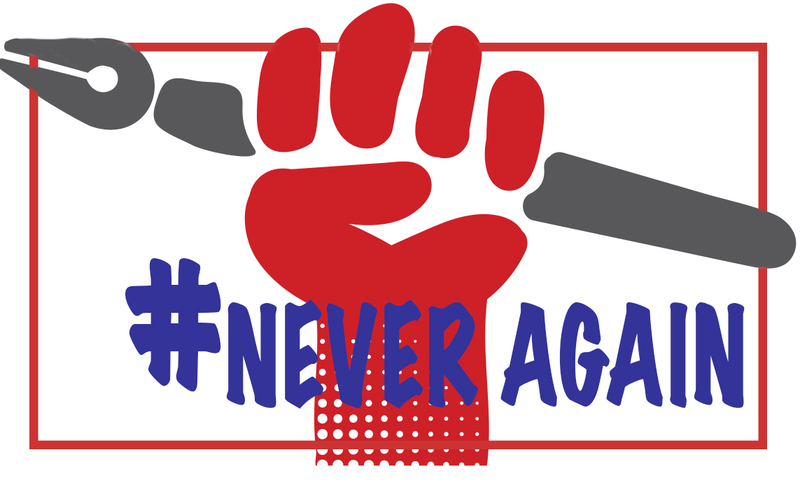 #NeverAgain will represent many thousands of marchers Saturday, March 24 in Washington, D.C., and cities across the country, and JEA’s Scholastic Press Rights Committee wants to help student journalists be effective and safe as they report on these and future events. School walkouts March 14 proved student journalists want to let others know what their classmates are doing, and their impressive news articles, video, audio, tweets and other social media certainly did just that. But what these journalists may encounter if they head to the nation’s capital or even a city nearby is likely to be very different from reporting on 17 minutes of speeches and balloons on the football field with their classmates. For one thing, not everyone agrees on the ways to stop school shootings and violence. Counter protesters – possibly armed – are not unlikely. Police will be part of the mix. These days, some people don’t like journalists anyway, which adds another layer of concern. The Student Press Law Center has legal FAQs for you. We hope to offer useful logistical and ethical information that could make the difference between a frightening and poorly reported experience and something that tells perhaps the most important story of their generation.